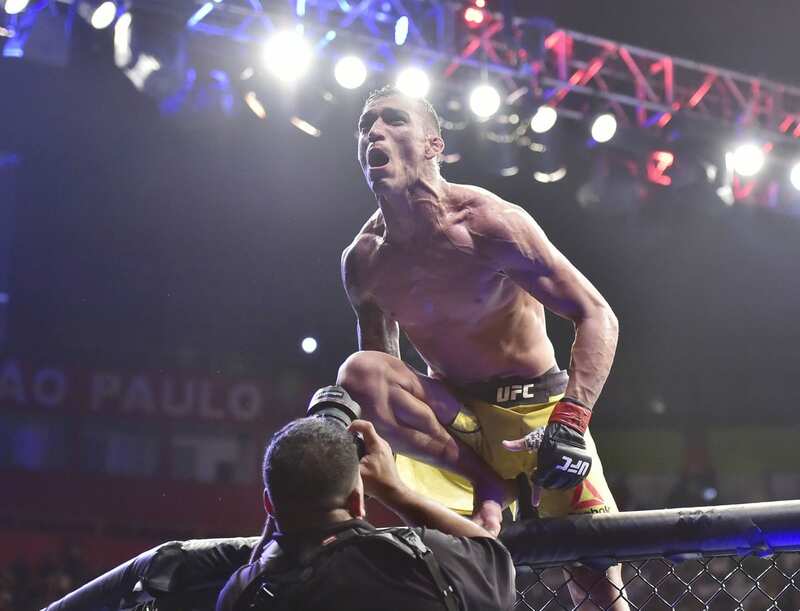 History was at stake when Charles Oliveira made the trip to the Octagon to fight Christos Giagos on the prelims of tonight’s (Sat., September 22, 2018) UFC Fight Night 137 at Ginásio do Ibirapuera in São Paulo, Brazil. The flashy, constricting submission specialist had scored 10 tapouts in his eight-year UFC tenure. 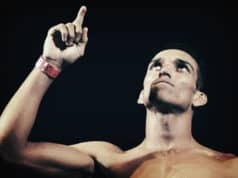 The number tied him with UFC and MMA pioneer Royce Gracie for the most of all-time. The current lightweight and sometime featherweight had an up-and-down UFC career at times. His grappling, however, was always one of the most dangerous single skillsets in mixed martial arts. The Brazilian mat technician proved why once again in Sao Paulo, submitting Giagos with a rear-naked choke. He finished UFC foes with six different submissions. With this latest win, he now passes Royce Gracie for the record of most submissions in UFC history. He’s submitted Jeremy Stephens, Clay Guida, Darren Elkins, and Myles Jury, among others.